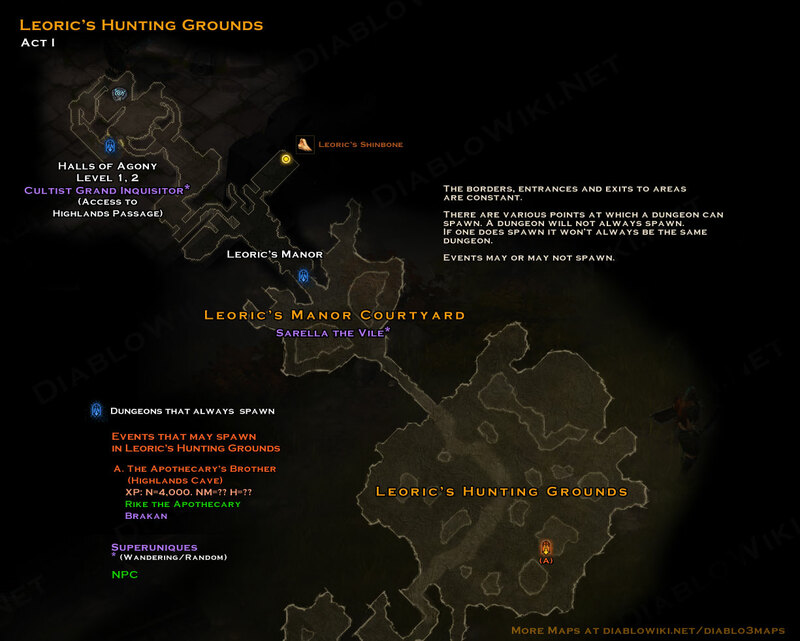 Leoric's Hunting Grounds separate the Highlands from Leoric's Manor. There is the possibility of one dungeon with an event and not much else. This page was last edited on 10 January 2013, at 15:25.